A cruiser equipped with automated license plate readers (also known as ALPRs) may have just logged where you parked your car. A cell-site simulator may be capturing your cell-phone data incidentally while detectives track a suspect nearby. That speck in the sky may be a drone capturing video of your commute. Police might use face recognition technology to identify you in security camera footage. EFF first launched its Street-Level Surveillance project in 2015 to help inform the public about the advanced technologies that law enforcement are deploying in our communities, often without any transparency or public process. We’ve scored key victories in state legislatures and city councils, limiting the adoption of these technologies and how they can be used, but the surveillance continues to spread, agency by agency. To combat the threat, EFF is proud to release the latest update to our work: a new mini-site that shines light on a wide range of surveillance technologies, including ALPRs, cell-site simulators, drones, face recognition, and body-worn cameras. Designed with community advocates, journalists, and policymakers in mind, Street-Level Surveillance seeks to answer the pressing questions about police technology. How does it work? What kind of data does it collect? How are police using it? Who’s selling it? What are the threats, and what is EFF doing to defend our rights? We also offer resources specially tailored for criminal defense attorneys, who must confront evidence collected by these technologies in court. These resources are only a launching point for advocacy. 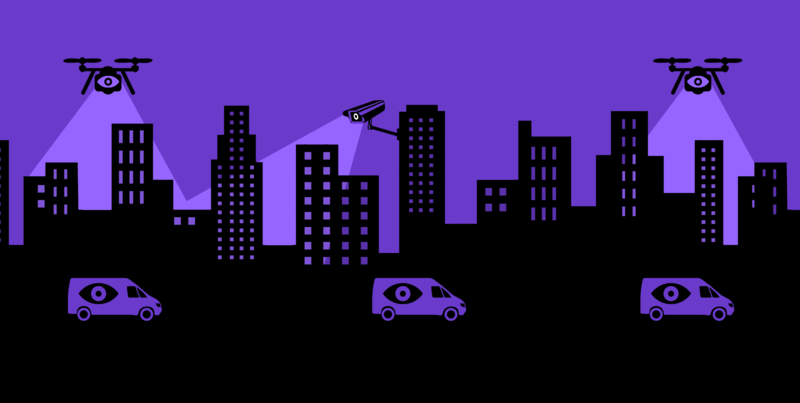 Campus and community organizations working to increase transparency and accountability around the use of surveillance technology can find additional resources and support through our Electronic Frontier Alliance. We hope you’ll join us in 2018 as we redouble our efforts to combat invasive police surveillance.